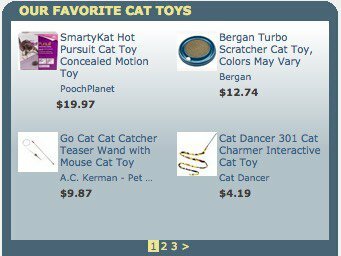 Want to make some cat toys for your pet kitty? Here's a pet project that will show them some love even when you're not around. 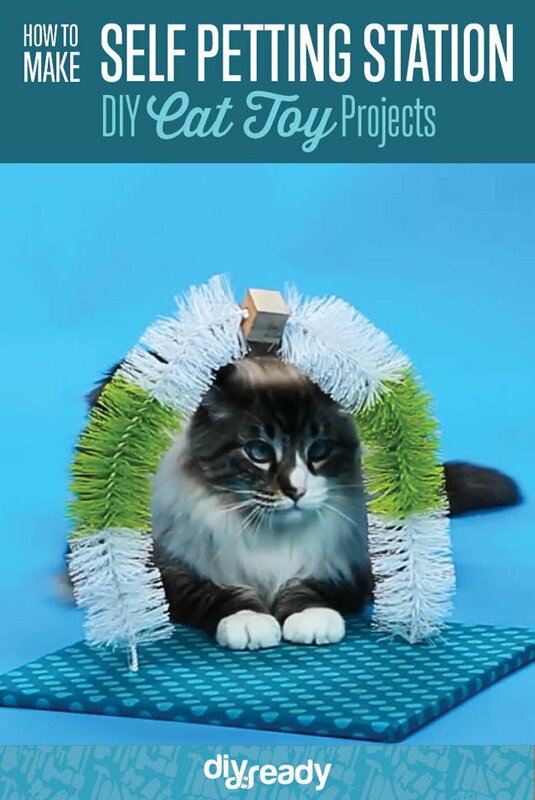 Make a DIY cat toy that will be purr-fect for your cat! We don't have a cat but one of my friends who has one recently asked me how to make cat toys. So I was intrigued. What cat toy can I make as my first pet project for cats? Then it hit me, my friend goes to work from 9-5 leaving her cat all alone in the house. I'm sure her kitty will need some love while my friend is away. So I suggested a self petting station. It's an easy DIY project anyone can make and will show how much you love your pet even when you're away. Just purr-fect! Remove the handles of your toilet bowl brushes. Take your drill and drill a hole through your wooden cube. Apply some glue to the end of one of your brushes and insert it into the hole in the wooden cube. Now take your second brush and insert it to the other end of your cube. Take your wooden base and cover it with your fabric as if you are wrapping a present. Staple the fabric in place. Drill two holes in opposite sides of your wooden base. Insert the ends of your toilet brushes in the drill holes and you're done! Wasn't that a fun and easy DIY project? I'm sure your cat will love this self petting station. But be sure to still pet him! Did you like our tutorial on this DIY cat toy? Let us know in the comments section below what your thoughts are on how to make cat toys. Do you have any other craft projects you’d like to share? Share it with us and we’ll give it a try. We love doing cool DIY projects by making craft projects, home decor projects, upcycling ideas, recipes, tutorials and anything you can do yourself. That’s why we created this site, we want people to be more in touch with their creative side and realize that there’s a lot of things that they can do themselves. We’d love to hear from you and create a community of DIY enthusiasts where any project is just a click away. Stay connected with us on Facebook, Twitter, Pinterest and Instagram!